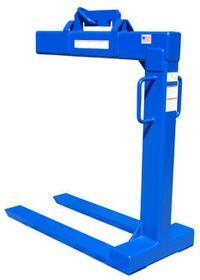 Easily convert a crane or hoist to an aerial-like fork truck. These Pallet Lifters are designed to assist during construction work, ship loading, unpaved storage areas, open-top trucks and even barges. 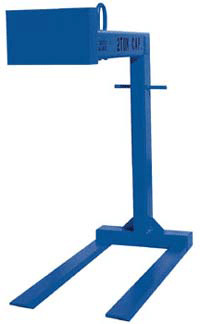 This solid steel construction lifters contains tapered forks to allow easy access under pallets. Main support contains handles to allow personnel to handle the unit. Large square head acts as a counterweight to keep the unit level without a load. Unit meets ASME B30.20 Standard 1993. A certificate is shipped out with every unit stating that it has been tested.